Nature's Best supplies an extensive range of quality bird seeds that are made right here in beautiful Australia. Using local and imported ingredients, every bird seed is manufactured to the highest quality standards. Whether you are searching for a bird seed for your small or large or even wild birds, Nature's Best has got you covered. This wide range of bird seeds are all specially formulated to provide your birds with vital nutrients and will suit their varying needs throughout the seasons. 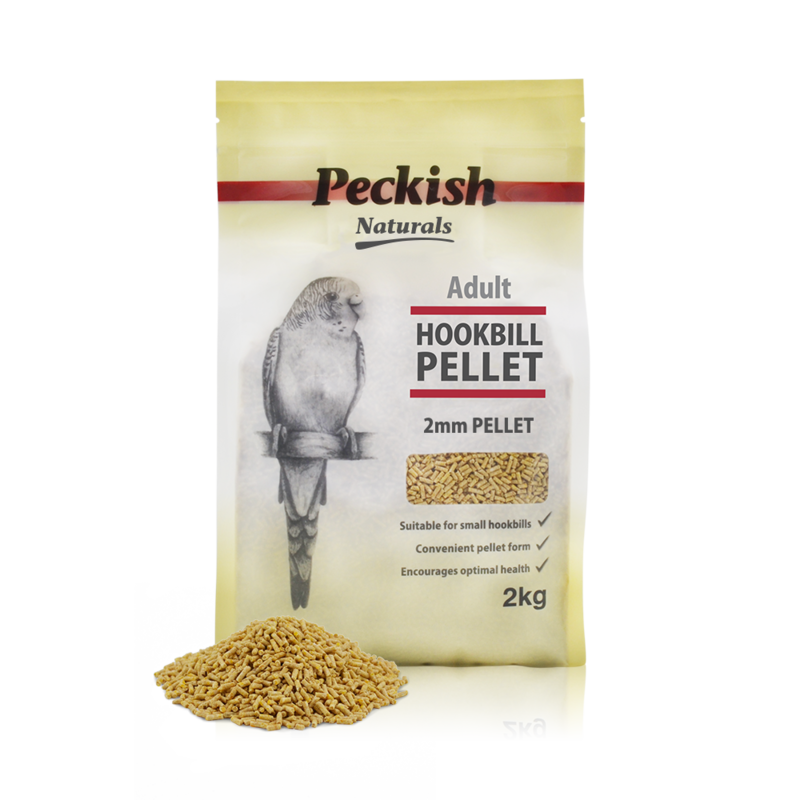 The Peckish Naturals range has been specifically designed to deliver optimal nutrition for you bird. The range covers the entire lifestage spectrum, including from birth, to adulthood, and breeding. Peckish Naturals use only premium quality and natural ingredients for a complete and balanced diet. For breeding birds, start feeding the appropriate Peckish Breeder Feed to your bird 6 weeks before you plan on breeding. Continue with this feed until the chicks are fully fledged. Peckish Naturals are available in a convenient 500g resealable pouch or a 2kg resealable bag for larger aviaries and breeders. Selected from: Wheat, Bread Crumbs, Corn, Soybean Meal, Dextrose, Rice Flour, Black Chia Seeds, Egg Powder, Vegetable Oil, Water, Vitamin and Mineral Premix, Blueberry Flavour Powder. 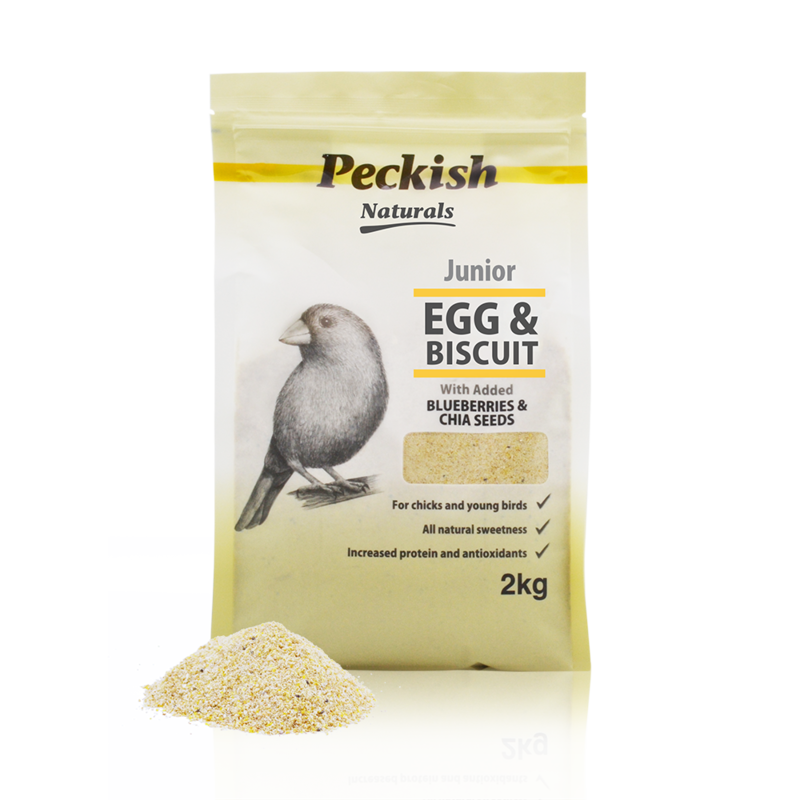 Peckish Junior Egg and Biscuit with added Blueberries and Chia Seeds is a nutritious blend for adult birds who are rearing chicks and young birds. Made from all natural ingredients, the sweetness of the blueberries entices your bird into consuming this delicious blend. The added chia seeds provide young birds with the protein, essential vitamins, calcium, omega-3 and antioxidants required for growing bones, healthy organ function, consistent weight gain and strong feather development to transition to fully fledged. Selected from: Wheat, Corn, Soybean Meal, Dextrose, Rice Flour, Egg Powder, Dried Mealworm Flour, Vegetable Oil, Water, Vitamin and Mineral Premix, Blueberry Flavour Powder. Suitable for most species of birds, including Budgies, Cockatiels, Lorikeets and Parrots. 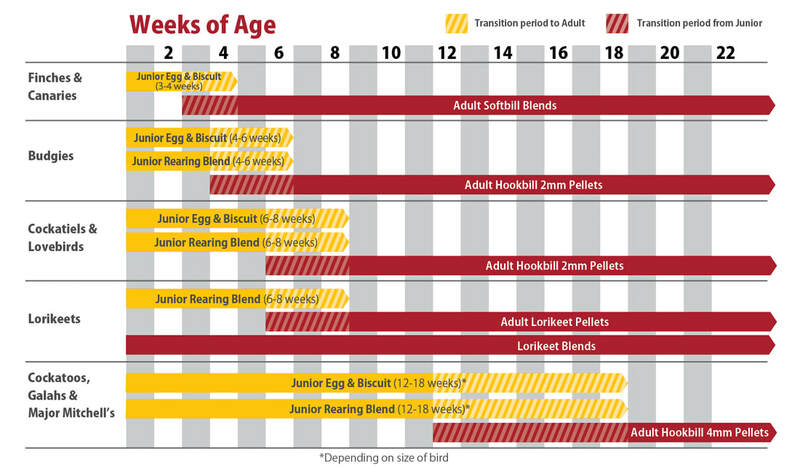 Peckish Junior Rearing Blend with added Egg and Mealworms is a nutritious blend for hand-rearing chicks and young birds. Made from all natural ingredients, the combination of egg and mealworm provides your birds with the necessary vitamins, minerals, calcium and protein for growing bones, healthy organ function, consistent weight gain and strong feather development to transition to fully fledged. 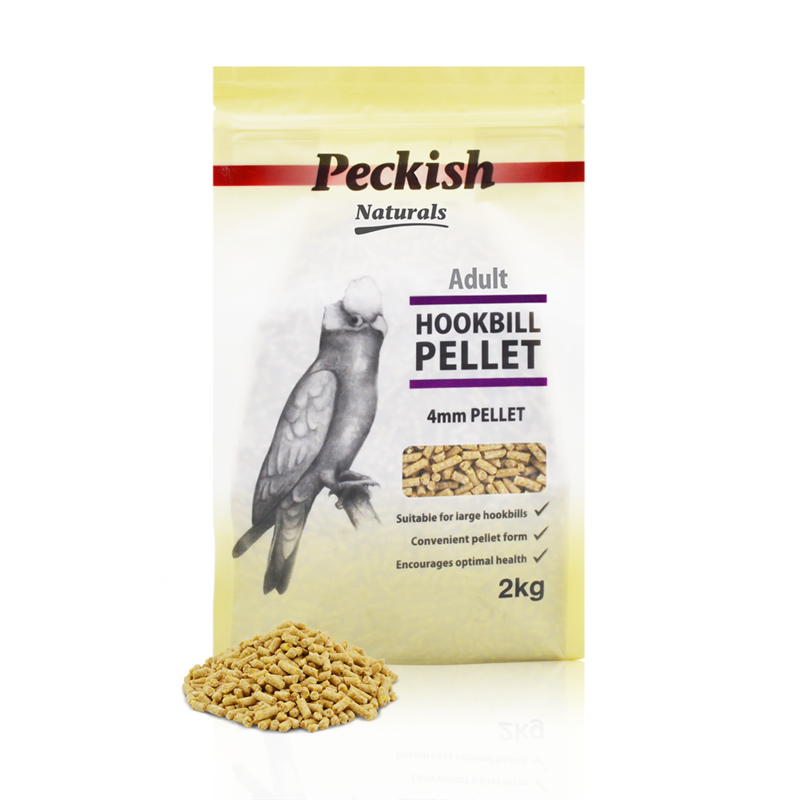 Peckish Adult Hookbill Pellets are enriched with essential vitamins and minerals to encourage strong feather development and optimal health for your birds. All pellets contain a uniform blend of natural ingredients, which provides your bird with a complete diet, so they can't selectively eat. Selected from: Wheat, Corn, Soybean Meal, Water, Vegetable Oil, Vitamin and Mineral Premix. 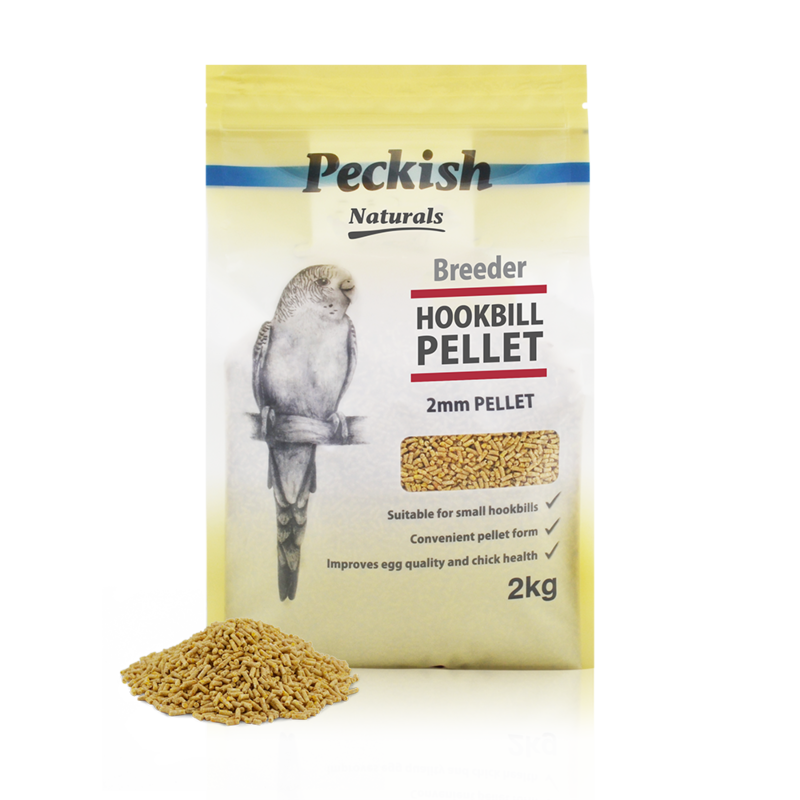 Peckish Breeder Hookbill Pellets provides increased levels of protein required by breeding hookbills in a convenient pellet form. Enriched with essential vitamins and minerals, these pellets improve egg quality, ensure healthy reproduction and benefit overall chick health. All pellets contain a uniform blend of natural ingredients, which provides your bird with a complete diet, so they can't selectively eat. Selected from: Wheat, Corn, Soybean Meal, Vegetable Oil, Water, Vitamin and Mineral Premix. Selected from: Wheat, Corn, Rice Flour, Dextrose, Soybean Meal, Egg Powder, Black Chia Seeds, Water, Vegetable Oil, Vitamin and Mineral Premix. Suitable for selected adult softbills, including Finches and Canaries. Peckish Adult Softbill Blend with added Egg and Chia Seeds is a nutritious, wholesome blend for adult softbills. Made from all natural ingredients, the egg provides an ideal source of protein, while the chia seeds ensures that your birds are receiving the amount of calcium, omega-3 and antioxidants that they require to improve feather development, and promote healthy muscles and bones. Selected from: Wheat, Corn, Soybean Meal, Rice Flour, Dextrose, Dried Mealworm Flour, Water, Vegetable Oil, Vitamin and Mineral Premix. 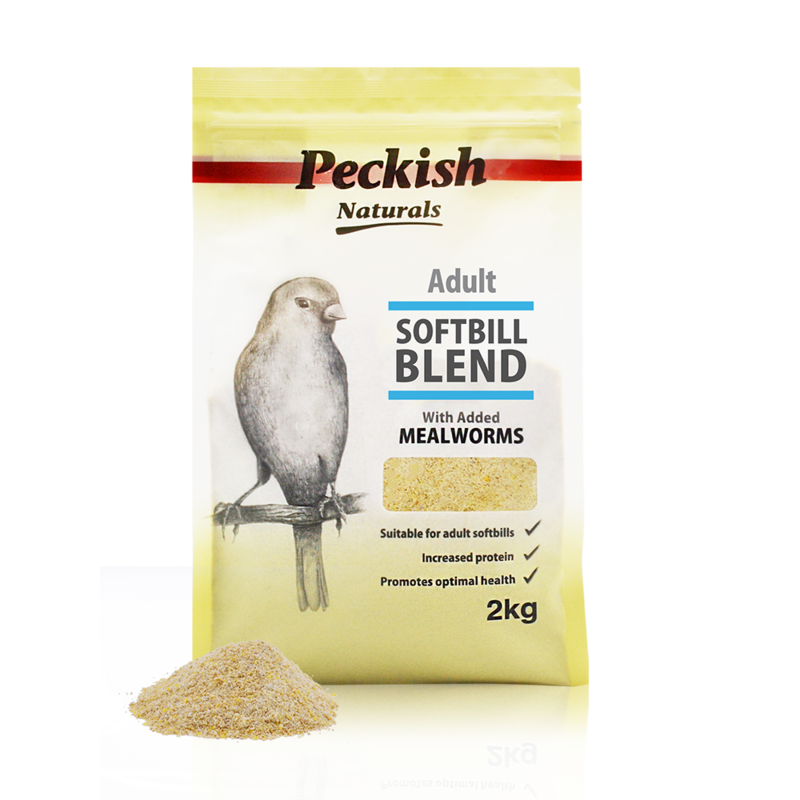 Peckish Adult Softbill Blend with added Mealworms is a mouth-watering and nutritious blend that is made from all natural ingredients. As a natural insect food for birds, the ground mealworms provide them with antioxidants, and an essential balance of protein, fat and fibre that is required to promote optimal health, strong feather development and improved levels of energy. Selected from: Wheat, Corn, Soybean, Dextrose, Rice Flour, Egg Powder, Dried Mealworm Flour, Vegetable Oil, Water, Vitamin and Mineral Premix, Blueberry Flavour Powder. Suitable for selected adult breeding softbills, including Finches and Canaries. 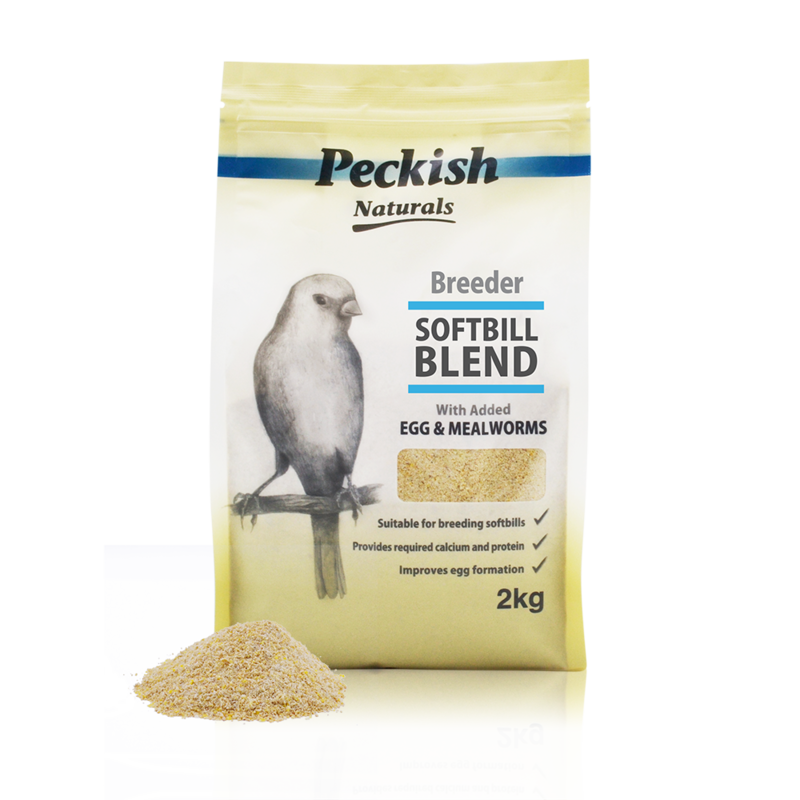 Peckish Breeder Softbill Blend with added Egg and Mealworms is a highly nutritious and vitamin-enriched blend for breeding softbills. Made from all natural ingredients, this delicious combination of egg and mealworm provides your breeding softbill with the required calcium and protein to improve egg formation, ensure healthy reproduction and benefit overall chick health. Selected from: Wheat, Corn, Rice Flour, Dextrose, Soybean Meal, Water, Vegetable Oil, Vitamin and Mineral Premix, Banana Flavour Powder. Suitable for all age (including breeding) Lories and Lorikeets, such as Rainbow Lorikeets, Red-Collared Lorikeets and Scaly-Breasted Lorikeets. Peckish Lorikeet Blend with added Banana is enriched with essential nutrients to promote healthy growing and breeding Lorikeets. Made from all natural ingredients, you can entice your bird with the deliciousness of the added banana, while providing them with an abundance of potassium and added protein to maintain good feather and body condition. Selected from: Wheat, Corn, Rice Flour, Dextrose, Soybean Meal, Water, Vegetable Oil, Vitamin and Mineral Premix, Blueberry Flavour Powder. Peckish Lorikeet Blend with added Blueberries is enriched with essential nutrients to promote healthy growing and breeding Lorikeets. Made from all natural ingredients, you can entice your bird with the natural sweetness of the added blueberry, while providing them with antioxidants and added protein to maintain good feather and body condition. Selected from: Rice Flour, Dextrose, Wheat, Corn, Soybean Meal, Water, Vegetable Oil, Vitamin and Mineral Premix, Blueberry Powder. Suitable for adult and breeding Lories and Lorikeets, such as Rainbow Lorikeets, Red-Collared Lorikeets and Scaly-Breasted Lorikeets. 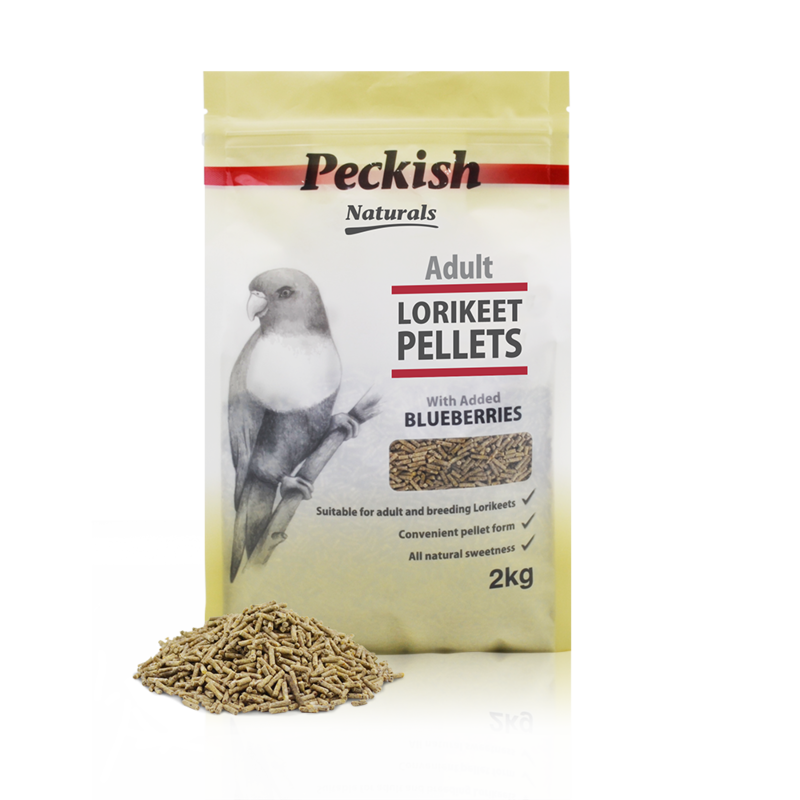 Peckish Lorikeet Pellets with added Blueberries is a nutritionally balanced feed in a convenient pellet form that promotes healthy growing and breeding Lorikeets. Made from all natural ingredients, you can entice your bird with the natural sweetness of the added blueberry, while providing them with antioxidants and increased protein to maintain good feather and body condition. Selected from: Japanese millet, Shirohie millet, Yellow panicum, Red panicum, White french millet, Wheat, Plain canary, Linseed, Canola rapeseed, Fine shell grit. Suitable for Canaries and Finches. A hearty mix of grains and seeds. 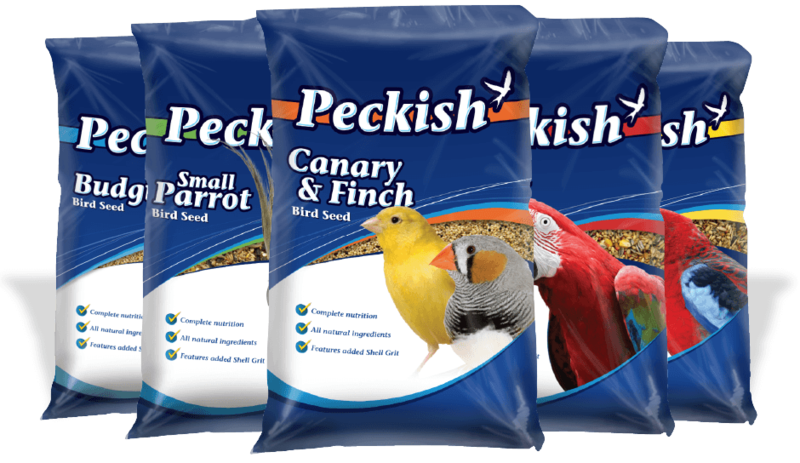 Peckish Canary & Finch bird seed has been specially formulated for all pet and aviary birds to maintain optimum nutrition and suit varying needs throughout the seasons. Selected from: Japanese millet, Shirohie millet, Yellow panicum, Plain canary, White french millet, Wheat, Panorama Millet, Red Panicum, Fine shell grit. Peckish Budgie bird seed has been specially formulated for all pet and aviary birds to maintain optimum nutrition and suit varying needs throughout the seasons. ​Peckish Specialist Bird Pellets have been included to provide a nutritionally balanced diet with the vitamins and minerals your bird requires. Selected from: Wheat, Oats, Barley, Sorghum, Maize, Grey Sunflower, Medium shell grit, Triticale, Safflower. Added maize for a more robust mix. A hearty mix of seeds and grains. Peckish Large Parrot bird seed has been specially formulated for all pet and aviary birds to maintain optimum nutrition and suit varying needs throughout the seasons. 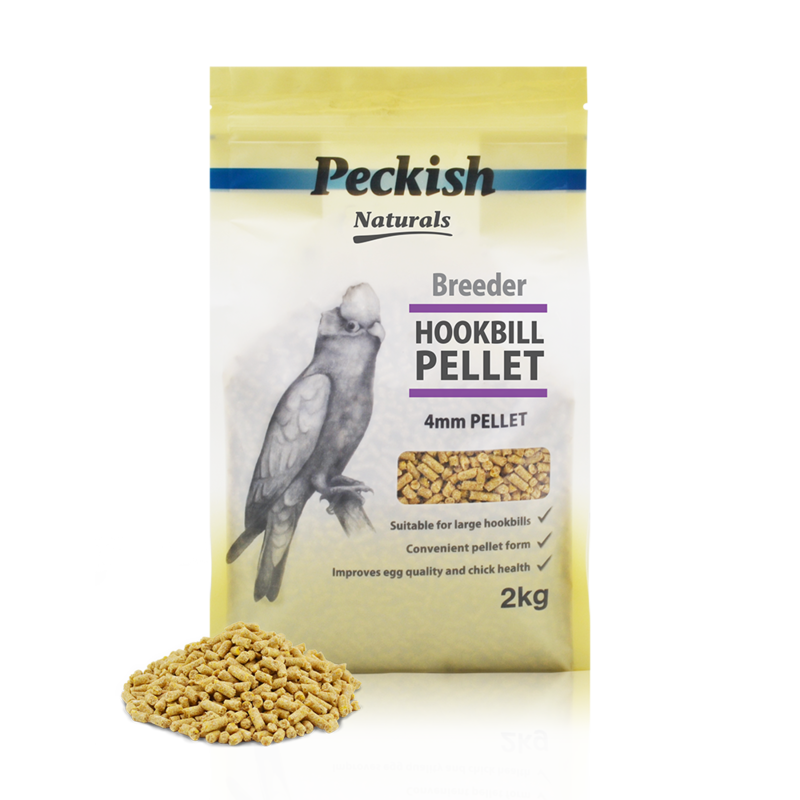 ​Peckish Specialist Bird Pellets have been included to provide the vitamins and minerals your bird requires. Selected from 100% Grey Sunflower seeds. Grey sunflower seeds are a favourite of cockatoos. Peckish Grey Sunflower seed is a perfect addition to a regular parrot feed, especially for large parrots like Cockatoos. Selected from: Wheat, Oats, Barley, Sorghum, Black Sunflower seeds, Canola oil. Specially formulated to attract wild birds. Added shell grit for health. Peckish Wild Bird seed has been specially formulated for all pet and aviary birds to maintain optimum nutrition and suit varying needs throughout the seasons. Peckish Pigeon Bird seed has been specially formulated for all pigeons to maintain optimum nutrition and suit varying needs throughout the seasons. Add shell grit your bird's regular feed to aid digestion. Adds needed calcium to your bird's diet. Peckish Aviary Grit (Fine) aids digestion and helps supplement aviary birds with some much needed calcium. Nature's Best Bird Seed Range are made from premium quality ingredients that offer a complete nutritional feed for different species of birds from Budgies to Large Parrots. Pet's Harvest Bird Seed Range features a healthy assortment of grains and seeds specially chosen to ensure your feathered friends have a balanced diet.